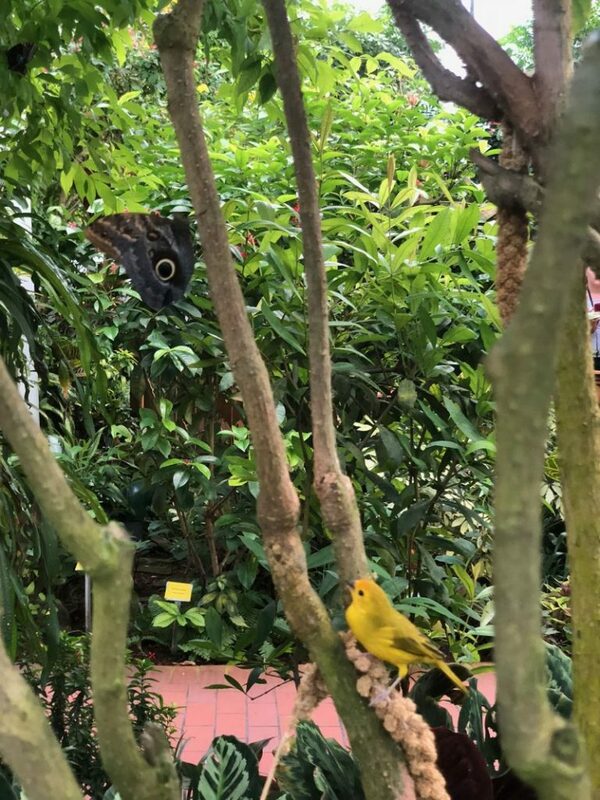 This is from the Key West butterfly conservancy; I’m only able to get close to birds in captivity. Hell, yeah. As a rule, I’m not really a fan of designated days, weeks, and months. According to incoming press releases, every month seems to be devoted to some kind of disease, which is kind of depressing (though if it brings in money, fine). And it’s pretty easy—frighteningly so—to get an elected official to dedicate a day to just about anything. There is a proclamation with my name on it hanging in our conference room. However, when I got an email saying that 2018 would be the year of the bird, I was immediately on board. Apparently, the Cornell Lab of Ornithology, National Geographic, National Audubon Society, BirdLife International, and more than 100 organizations have joined in this declaration; if you listed to the January 4 broadcast of NPR’s On Point, you already know all about this. Who doesn’t love birds? The point of the designated year, however, is to get people to show their love. Some of the suggestions include keeping a daily list, going bird-watching with friends, and monitoring the birds that come to your feeder. A suggestion I hadn’t expected was coffee consumption—should be shade-grown, though. A WNY Audubon conservancy; they maintain an excellent feeder array that brings a diverse variety of birds. I’ve helped birds this year by hiring a regular wildlife columnist for the magazine. His name is Gerry Rising and, though his background is in mathematics education, he has also been a dedicated naturalist for many decades and used to write the nature column for our daily paper. Inexplicably, the column was discontinued, and I was happy to bring him on as nature writer for Buffalo Spree. Here’s his recent piece on bird migration. I also maintain a couple bird feeders: a seed feeder and a suet feeder that only admits smaller birds. In addition, I sometimes put up a seed bell or some other treat. Our one resident squirrel can get to that, but this winter has been so miserable, there is compassion even for squirrels. The city birds are not too interesting: mainly finches and starlings, brightened sometimes by chickadees and cardinals. Still, I love to see them gathering at the feeder and I couldn’t care less about the mess. It can easily be hosed off or swept up in the spring. 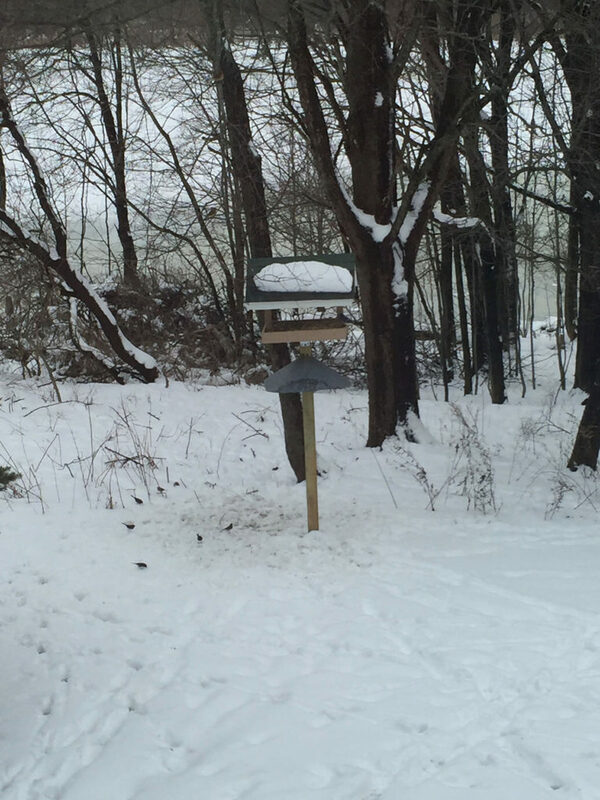 Gerry’s columns have convinced me of the importance of winter bird feeding. In summer, our pond’s waterfall is a bird magnet, so that helps too. It was disturbing to learn that the scrub jay is now endangered; I remember this bird as ubiquitous during my short residence in Florida. I’ll be sure to look out for it next time I visit. In the meantime, I’ll enjoy my ordinary feeder birds and try to regularly visit WNY nature preserves and the Niagara River corridor (a designated important bird area), where more interesting birds abound. Yay, birds! Didn’t know 2018 is year of the bird- awesome! Thanks, Elizabeth, for highlighting this with your writing. Here in Northern Virginia, Audubon sponsors a program that sends “ambassadors” to talk with homeowners about ways to garden for birds and other critters (audubonva.org/audubon-at-home-1/). One idea for helping spread the word. We also have a very active native plant social media campaign going, which we hope will help deter decline in bird populations locally: http://www.plantnovanatives.org. Again, thanks for raising this subject on your delightful blog. Elizabeth, have you been to the Roger Tory Peterson Center near Jamestown? That’s a really nice place with a large meadow full of feeders and houses. I was just there in November (not an interesting time of year, but I enjoyed seeing it). It’s also fun to go down to Cornell’s ornithology center! I have been to Cornell’s facility but not Peterson (which is closer). I should definitely visit! For me, it’s the Eastern Bluebirds. I maintain a bluebird trail and just built 8 bluebird houses of my own NABS-approved design to replace some old ones. At least someone is benefitting from my hobbies besides myself!